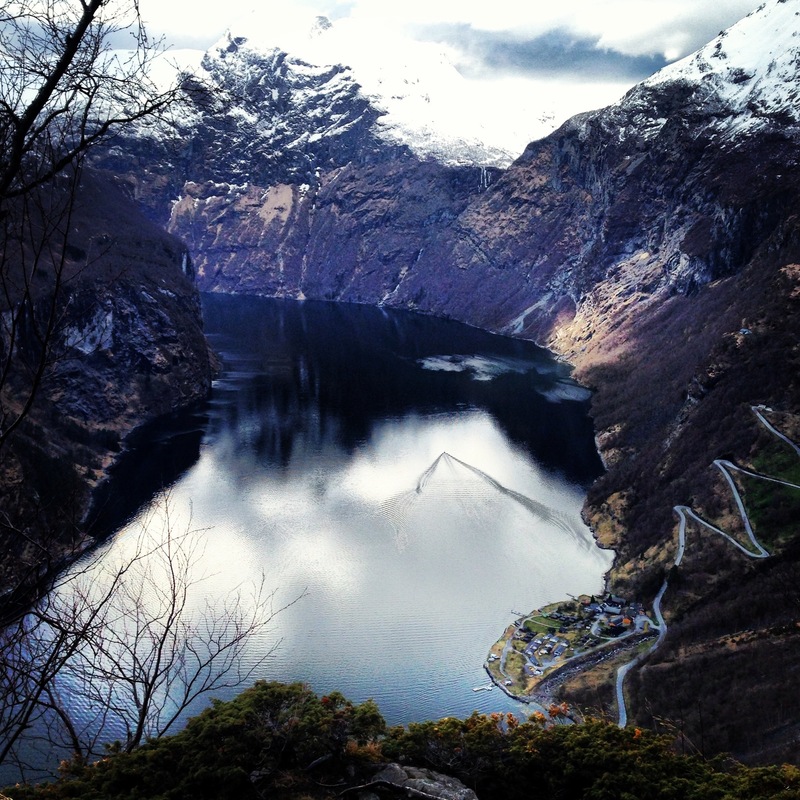 Folgefonna is famous for its proximity to the sea and its several ‘fjord to glacier’ hikes. It’s Norway’s third biggest glacier, covering an area of 207 square kilometres. The glacier offers ice climbing, blue ice walks and a hike straight across between the Fonnabu and Holmaskjer cabins. I opted for the last and this turned out to be an astonishing hike in the Hardanger region. 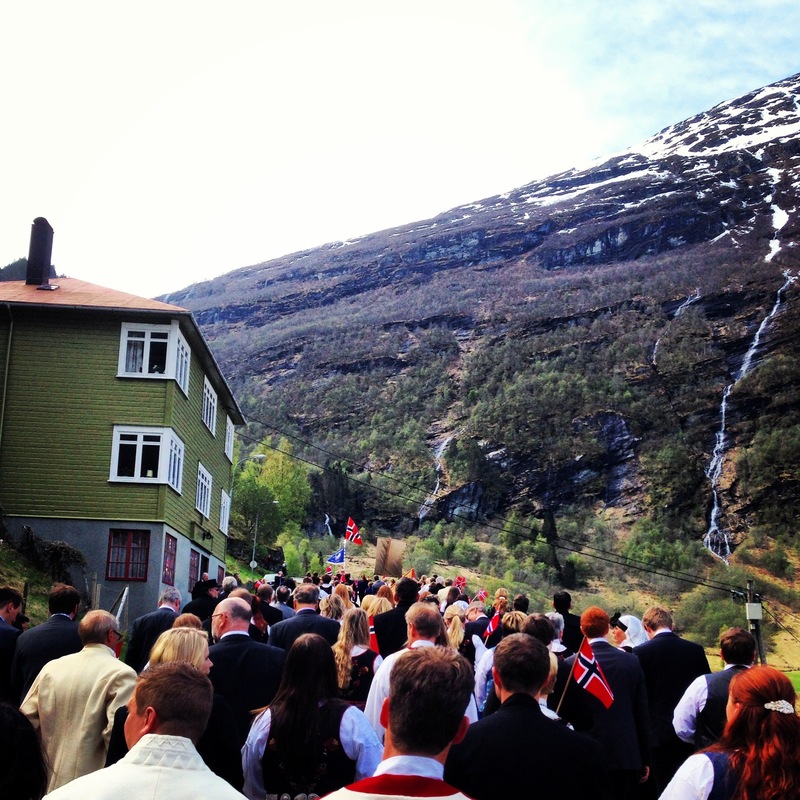 To reach Folgefonna you need to get deep into the Hardanger- or Sørfjord. In the same area lies the famous Trolltunga rock. I went on this hike as well and in all honesty found it a bit disappointing. The way there is very long and the view not all that spectacular. The rock itself is nice but the tourist queue to get on it does take away some of the fun. Could be that I got spoiled lately, however I believe that this is yet another case demonstrating that the most touristic and most advertised places in Norway are not the ones most worth a visit. The beauty of this country lies in it’s isolated cabins, lonely peaks and sheer wilderness, far away from the masses and the busy sightseeing activities. But anyway, back to Folgefonna. The hike between Sundal and Odda can be done in either direction, but I do recommend starting from Sundal as the way up from Odda will be even higher and steeper and this more exhausting. The trail is well marked all the way up from Sundal to Fonnabu with the red T sign from Den Norska Turistforeningen (DNT). After a first flattish part on an unpaved road the steep climb to the top starts, including 18 hairpin bends to get over the 750m mark. From here you are halfway up and halfway the distance. The view over the valley is beautiful. Pointy peaks rise in the back, glacier arms flow down over the mountainside and below lie the bright blue Bondhuselva and Bondhusvatnet, owing their colour to the rock flour grinded away by the glacier. After crossing a small plateau another steep ascend leads up to 1200m and soon the Breidablikk cabin will come into sight. From there, follow the piled rocks and look for the red T’s. The trail gets very steep at some point and ascends on a ridge, making it necessary to be cautious when visibility is low. From Breidablikk you get the first good views over the glacier and it takes another hour to get to Fonnabu. The cabin does not show up until you have pretty much reached it. In this pale and empty, rocky landscape it feels a bit like walking towards the end of the world. Once you’ve reached Fonnabu you are in for a treat of a view. The cabin stands on top of a little hill surrounded by bald rock and ice. We were about 25 people there, mostly Norwegians (a good indicator that you have come to the right place) and almost everyone was standing outside for over an hour to admire the spectacular sunset. At sunrise the view got even better. Our glacier crossing got delayed by an unfortunate accident (on which I wrote more in my post on mountain safety), so we did not get off the mountain until 9PM in the evening. Both the crossing and the descent down to Odda took longer and were more exhausting than I had expected. The glacier crossing climbs another 150m and is 7km long. This is really where you can see the unique character of Folgefonna: when you bypass its highest point, you can see the steep the cliffs of the Hardanger fjord as it cuts its way inland. On the other side you can see it opening up to the Atlantic filled with islands glowing in the sun. Standing on a glacier with a sea view is a very strange experience. Holmaskjer was put in a place just as impossible as Fonnabu. It seems to be surrounded by glacier all the way, but on the backside it is only firn and not flowing ice. If you stick to the poled route across you will be safe to continue. The landscape on the way down undergoes the same spectacular changes as it does on the way up. From the pale ice and rocky top you can look down into the forested valley, and even before you reach the treeline you look down into the blue waters of the fjord. The last part of the trail is a 900m steep drop on endless hairpin bends. It’s a beautiful hike, but it is not to be underestimated. DNT grades it ‘expert’, which is the hardest of levels any tour can get. For people who are physically fit and used to mountain hiking it is definitely one of the most beautiful multiple day tours you can take in the Hardanger region. 1 Responses to "Folgefonna National Park"